Fishing is one of the most popular activities in Australia and it is a great way to get children away from the computer or TV and experience the outdoors, to bond with you as a parent and learn a thing or two about the environment at the same time! Teaching kids the proper skills early on provides them with a broader idea of nature, improved dexterity and coordination, as well as patience. 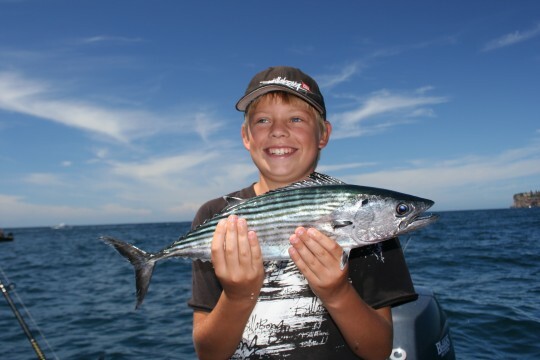 Fishabout Kids Fishing Charters are based on our boat on the water in Sydney and are specifically designed to give both you and your children an introduction to wonderful world of fishing! Our Kids Fishing charters are about maximising the action & minimising the frustration. Our expert Guides will ensure the day is fun filled and will pass on tips and techniques used by the professionals!